If you want to grow your business, consider guest blogging. In my previous article on off-page SEO, I mentioned guest blogging. But, what exactly is guest blogging? 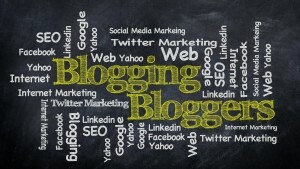 Today, we will take a look at that and how guest blogging will benefit you and your business. Also, I will give you some pointers about how to write effective guest blog posts. As you probably have already guessed, guest blogging is writing content for a website that is not your own. Why would you want to do that? Well, there are several reasons for writing an article or blog post for someone else. By guest blogging, you have the opportunity to speak to new people who may not have otherwise found your site. You will also be seen as an authority on the subject you’re writing about by publishing on a site different than your own. And, as we talked about previously, it will increase your search engine ranking. Stay away from sites that say they will publish anything. These kinds of sites will not help boost your off-page SEO. In fact, Google is wary about sites like this and may actually punish your website for the shady link. Instead, look for reputable sites to be a guest blogger. Create a relationship with the site you are a guest blogging on. Instead of trying to jump in, guest post, then jump out, be a regular contributor on the site and make sure the site’s audience would find your information/insight/solutions relevant. Write your best quality content with their audience in mind. Give them the very best you’ve got. If you save your best stuff for your own website and share subpar stuff when you guest post, you’re not going to convince many people to click over to your site. You don’t want to be a guest blogger just for the sake of getting a link back to your site. Writing junk posts will make you lose credibility as an expert on the subject and ultimately hurt your business. 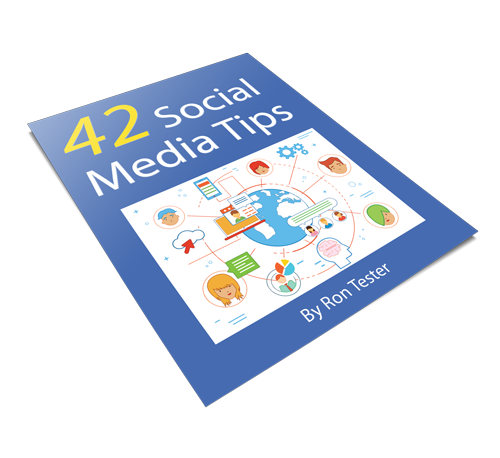 Promote the post on your social media, website and blog. Don’t forget to thank your host for allowing you to be a guest on their site. Also, don’t just post and be done with it. You want to be sure to respond to the comments on your guest blog post. After all, you’re creating a new audience and they want your attention just as you want theirs. Are you having trouble getting traffic to your blog or website? Take a look into guest blogging and watch your audience grow. For more tips on growing your audience, be sure to subscribe to my newsletter. Keywords will help the right customers find you, but picking the right keywords can be difficult. Here’s how to get started. In my recent posts on search engine optimization, which can be found here and here, we talked about ways to be found by your audience and why that’s so important. As important as those are, and they are important, it’s critical that you get to know and use the right keywords in your content and marketing strategy. 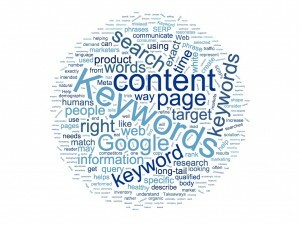 Keywords and keyword phrases are those words that target relevant traffic from search engines to your website. If you select the wrong keywords, any search engine optimization you have done could be a waste of your time and money. So, how do you find those keywords? Keyword research, or optimization, is crucial to driving the right kind of traffic to your website. To do that, you need to think about your target market. Learn how your potential customers would describe your product or service and what words they would use to search for it. Perhaps you sell purses or handbags. Some people call them pocketbooks. You need to really delve into the different ways of describing your product in order to pick up on the different ways that your customer will be searching for it. Here’s my recommendation: ask your customers or potential customers, “If you were searching for this online, what would you type into the search box?” It may be a physical product, an electronic product, a service—whatever your customers or potential customers tell you is valuable feedback you can use to choose effective keywords. If you sell a service or solution, you might think about how a customer would search for the solution to their problem rather than your service. For example, instead of searching for “pest control” your potential customer may search for “how to get rid of roaches.” If you use keywords to position your website to come up when someone searches for “how to get rid of roaches,” you’re likely to win some customers who don’t want to deal with the problem themselves. Depending on the type of business you have, you will either need more specific or more broad keywords. If you sell only handbags, you may describe all the ways that handbags would be described, as we previously mentioned. However, if you sell only Dooney & Bourke handbags, you would want to be more specific. You might also want to include competitive keywords so that if people usually choose between Dooney & Bourke handbags or Michael Kors handbags, you are including Michael Kors in your keywords. If your keywords are too specific, however, you may miss out on reaching potential customers. Think about the keywords that would be most helpful in bringing the right customers to your website and choose accordingly. Grouping your keywords into themes may also allow you to target a specific ad groups. If you sell handbags, you can have a separate targeted ad for evening bags and one for regular handbags. This allows customers to find what they’re looking for without having to wade through those websites that don’t provide their specific needs. Be sure to analyze your keywords regularly to see how well your keywords and keyword phrases are working. Language can be trendy, and your keywords might need to change to stay current. Finding the right keywords and keyword phrases can a bit daunting. Thankfully, Google AdWords can help. Within Google AdWords exists the Keyword Planner, a free and useful tool for conducting research on keywords and ad groups. You don’t have to buy Google ads to use the Keyword Planner. You can figure out what people are searching for and how often. If you already have a list of keywords you’d like to check out, the Keyword Planner allows you to upload them. Furthermore, the Keyword Planner in Google AdWords will show you the traffic forecasts to your website based on budget and other configurations to your ad. I would NOT encourage you to buy Google ads without help unless you really know what you’re doing, though, because you can spend a fortune for no return if you aren’t careful. When your site has been optimized for keywords and keyword phrases, your traffic will be more relevant to your business. Thinking like your customer, actually asking your customers, and checking Google Adwords and its Keyword Planner will help you in your search for the right keyword campaign to reach your customers. Finding the right keywords and keyword phrases is an ongoing process and good marketing people refine their keywords as necessary. Honing in on the right, relevant traffic to your business will improve your business and help your customers at the same time. I picked “local business marketing” and “small business marketing” as the keyword phrases I wanted to build this website around. What are your keywords and keyword phrases? Would you like some help figuring out what they should be? Comment below to share your ideas or let me know if you’d like some help. You can produce perfectly good images by using your iPhone to take relevant pictures. If you have a digital camera, that’s another way to take pictures. If you want to take pictures of products, make yourself a portable light box or try taking the pictures outside in natural light. If you’re handy, you could try making a very inexpensive photo light box with instructions you can find here. If you don’t want to make your own and don’t mind spending a little more money, you could get one like this from Amazon. A n image doesn’t have to be a photograph; it can be an attractive arrangement of a quote from your blog post made into a .jpg file with a beautiful and colorful background. This is a great way to add interest as well as call out an important point within your blog post. It looks attractive and helps explain meaning to your readers. 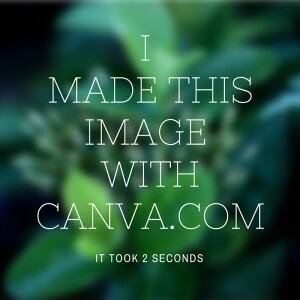 I use WordSwag on my iPhone and Canva on my Mac for that sort of thing. 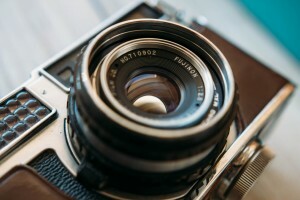 There are quite a few stock photo sites, like pixabay.com, Morguefile.com, and depositphotos.com, that you can use to find appropriate images to use on your blog. The first two of those sites are free and their images are in the public domain, the last one is paid but relatively inexpensive. No matter where you get your images from, make sure to check the license rules to ensure that you have a right to use the image. You do NOT want a lawyer hassling you for some image you grabbed off of Google because you were too busy or lazy to check usage rights. Most of the images I use on this blog I find on Pixabay.com, but I am branching out this year. I will include more of my own images with upcoming posts. If you know of other good sources for free or inexpensive images people can use for blogging, please share them below.